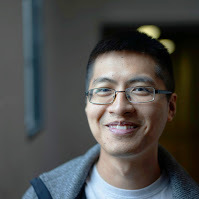 Editor’s note: Welcome Mark Tse in his first guest post for the Netlify blog! Have an idea for a post you’d like to write? Let us know! Netlify started off as a service for hosting static websites. Not only was it an amazing service from the start, managing the hosting infrastructure so you can focus on putting your website together, but they have since added support for those looking to go beyond a static site. AWS (Amazon Web Services) Lambda functions, their most recent add-on, means developers now have the freedom to run arbitrary backend code to support their website without having to leave Netlify. However, if you come from an Express background, you may not be interested in working with or have the time to learn a new technology stack. In this post, I will show how you can build an Express application on top of Lambda functions. If you are using another web framework (e.g. Koa.js), stick around! The contents of this post should also apply to any web framework built upon Node.js’s http module. Although I will be referring to only AWS Lambda functions in this post, I really mean the API Gateway API and Lambda integration, which Netlify Functions has abstracted away for us. The code & examples in this post can be found here. How many servers do you need to serve the /updatestate endpoint? Do you know when to add servers during high-load periods and when to scale down to save money? Lambda will call the handler function for each request. The event object is Lambda’s way of representing the incoming request, and the callback(err, data) function is how you tell Lambda what response to send back. Going back to our Lambda function, you will notice that the event object and callback function are very similar to Express’s req and res object, in that they facilitate getting information about the request and returning a response to the client. In fact, it is similar enough that a library exists to translate between the two: serverless-http. The above code can be seen in the repo. The key is that last bit, where serverless-http acts as a decorator and translates Lambda’s event into something Express can use, and req back to a proper call to Lambda’s callback(err, data). Using serverless-http and Express on top of Lambda functions simplifies the routing decision code, similar to why you would use Express over the http module. There are a number of benefits to using Express in a Lambda function. Use your favorite Express patterns. Express has a large ecosystem of ready-to-use middleware components. It’s very handy to be able to plug these in and use them. For example, the passport authentication middleware supports a wide array of authenication methods like Twitter Oauth, Facebook, GitHub, etc. You can add the middleware to our Express function and have authenicated Lambda functions with minimal effort on our part. Migrate existing apps into functions. Porting an existing Express application into a Lambda function using serverless-http doesn’t require many code changes to the existing application. This makes porting over apps relatively straightforward. There are a couple things to consider when using the Express-in-a-function approach. By default Netlify’s Lambda functions run with 128 MB memory and 10 seconds function execution limit. In terms of processing power (CPU), AWS does not disclose that value, but it is proportional to how much memory is allocated to the Lambda function. There is also 512 MB of temporary disk space available across all memory configurations. It’s possible to stash files or data into this /temp directory of the function but because the functions are ephemeral in nature, you can’t rely on the cache always being present. These limits mean you will not be able to have any large or long-running backend requests. If you bypass those limits, the Lambda function stops executing immediately with an error, which translates to a 500 HTTP status code. You can see the full set of limits on AWS’s developer guide. Interestingly enough, 1024 MB Lambda functions are more price-effective than 128 MB Lambda functions and they run in a shorter time. If your application requires more memory or a longer execution time (5 minute maximum), you can contact Netlify support as per their documentation to request higher resource limits. In the future, this will likely be controllable via the netlify.toml config file. When running serverless functions, AWS tries to reuse running function containers as best as they can but make no guarantees an instance of a function will be reused for multiple requests. This means you need to think about your functions as “stateless”. This impacts how you need to handle any in-memory state or file system content to persist across requests. For more details, I recommend looking at the developer guide. When you are writing your function code, you can cache things in memory or to a /temp folder. On a subsequent request you need to first check the cache exists. If the cached data exists then you can use it, otherwise you will need to fetch the data again (and then save to cache for next run). Behind most web applications is a database. In the serverless world, there are no baked-in datastores in the functions. If you need a persistent data store, such as for session management, you will have to bring your own at this time. Keep in mind that there are no guarantees that subsequent calls will reuse an instance of your Lambda function, so do not rely on in-memory caches (e.g. do not use memorystore to manage your sessions). If you are interested in exploring this topic further, check out these two ready-to-deploy examples of running Express.js on Netlify Functions. I’ve made this very simple sample to help get you started. This demo by Netlify’s David Wells includes how to do React server-side rendering via Express + Netlify Functions. In this post, I have showed how you can use Express with Netlify Functions and outlined the limitations with this approach. If you have any questions or comments, feel free to create an issue on my sample repo, and I would be happy to continue the discussion there. Be sure to checkout the original post by Mark on his blog. Have an idea for a post you’d like to write for the Netlify blog? Let us know!